Castine's unique history of early settlement and multi-cultural development by four countries represents the core identity of the community over time into the 21st century. The strength of the modern community comes from the comfortable blending of the committed year-round families who live and work in the area; the significant population of faculty, staff, and students at Maine Maritime Academy; the energetic participation of a stable summer population; and a growing population of regular water and land travelers. People who live in Castine share a commitment to living on the rugged coast of the Penobscot and Bagaduce Rivers because of the beauty of the natural harbor and forest, the heritage of their families, the lure of active involvement in local civic and service opportunities, an exemplary public school and inviting neighborhood for their children, and the opportunity to live life at a manageable pace and style. The essence of the Castine community lies in the naturally warm welcome and comfortable inclusion of people who come from diverse backgrounds and extraordinary talents ready to unify and contribute to making the community responsive, positive, and productive for all its members and guests. Castine, Maine is one of the oldest communities in North America. It has been occupied continuously since the early 1600s as the site of numerous trading posts, forts, missions, and permanent settlements of France, Holland, England, and colonial America. Before 1613, and during the course of its long history, Castine has also been home to several nations of Native Americans. Castine has existed as a town since 1796 and is named after Baron Jean Vincent d'Abbadie de St. Castin, a French nobleman and adventurer who established a trading post in the 1670s. He married the daughter of Madockawando, the chief of the local tribe of Tarratine Natives, with who he had at least two sons. Two streets in present-day Castine, Tarratine Street and Madockawando Street, reflect this heritage. In the 1630s the French built a fort here and called it Fort Pentagöet - the name used by the French to describe the Penobscot and its tributaries. Today, the fort lies beneath the plot of land next to the present Roman Catholic Church. The fort was part of France's attempt to maintain and extend their control over "Acadia" - the name given to the region between the Kennebec and St. Croix Rivers. The Dutch briefly occupied Castine, once in 1674 and again in 1676, when they bombarded it from the bay. After coming ashore, they completely destroyed Fort Pentagöet. In 1713 Acadia became part of the British Empire. The earliest permanent settlement here began in the 1760s. One of the earliest settlers was John Perkins, whose home may still be seen on the street named after his family, although it has been relocated from its original site. By 1776 the town consisted of little more than twenty homes nestled on the south side of the peninsula. In 1779 the British Royal Navy sent a detachment of troops here. They built a fort on the highest point of ground nearest the entrance to the bay and named it Fort George. The remains of the fort, now sometimes used as a softball field, are still here. The colonial Massachusetts Board of War resolved to send a combined naval and military expedition to recapture the area, but poor coordination, bickering commanders, inadequate training and inexplicable delay allowed the British to defend the Fort successfully, inflicting a humiliating defeat on the Americans. The details and narrative of the Penobscot Expedition are on display at the Castine Historical Society. In 1812 war broke out again between the British and the Americans, and in late 1814 the British arrived again, this time without opposition. During this second occupation, the British authorities collected customs duties, and when they left they took the money with them. The years between the end of the War of 1812 and the outbreak of the Civil War in 1861 marked Castine's greatest prosperity. That prosperity came largely from the sea, from fish, from the salt needed to preserve them, and from building the ships needed to catch them. In the springtime nearly five hundred fishing vessels could be seen in Castine's harbor awaiting salt, and over one hundred commercial sailing vessels were built here. Local ropewalks, sail lofts and ship chandlers provided all necessary goods and services for the maritime trade. According to one source, in 1850 Castine had the second highest per capita wealth of any city or town in the United States. Street names such as Perkins, Dresser, and Dyer, are reminiscent of Castine's merchant families of the pre-Civil War era. Their wealth is still reflected in the Federal and Greek-Revival style homes along Main Street, Court Street, and Perkins Street. When war broke out in 1861, Castiners rallied to the cause of the Union sending 157 men to serve. The Civil War statue on the Common was erected in 1881, a tribute to their memory. By then the fishing vessels that had once occupied the town's wharves were replaced by steamboats carrying tourists and summer visitors, sometimes called "rusticators", to Castine's hotels and summer "cottages." By the 1920s, more and more Americans traveled by automobile and fewer by railroad or steamboat. This impacted Castine's tourism, and many of the hotels of the 1880s and 1890s closed or were torn down. Today only two or three of them remain. In 1867 the Eastern Maine Normal School was founded to train hundreds of teachers for Maine's public schools. It closed in 1940, but one of its original buildings still stands on the campus of the present-day Maine Maritime Academy. With the establishment of the Maine Maritime Academy in 1941, the town was given a new lease on life. Today its training ship “The State of Maine” is docked in the harbor most of the year, a reminder not only of Castine's seafaring past, but of its role in the future. The casual visitor to Castine is usually most impressed by the number of 18thand 19th century Georgian and Federal houses still in existence and in perfect repair. Many summer people in Castine have carefully restored most of these beautiful old homes. Some of those summer residents were quite famous especially in literary circles. 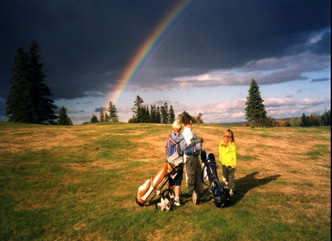 Castine has a nine hole golf course open to the public. Lessons are available. If nature walking is your preference there are the Witherle Woods boasting Indian trails for walking and hiking. In addition to the Witherle Woods, Castine provides a walking map of the town enabling one to see everything they wish. 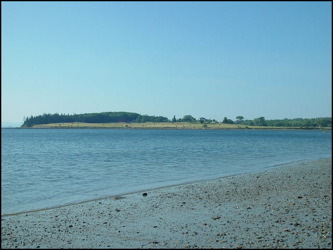 There is a rocky-sand beach safe for swimming on our property as well as swimming at the Wadsworth Cove public beach, also known as the Back Shore. Enjoy fishing off the rocks at Dyce's Head Lighthouse. While you're there enjoy the view from up in the lighthouse. Boat charter options available at the Castine waterfront. 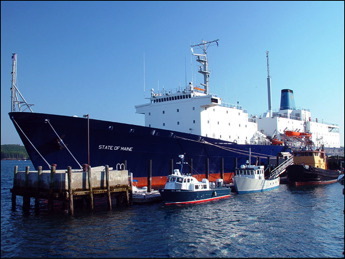 Castine is home of the Maine Maritime Academy. At berth in the harbor is its historical training vessel “The State of Maine” on which tours are available when in port. Castine Harbor expereienced the 2nd worst Naval defeat behind Pearl Harbor. Explore the natural history and cultures of the Penobscot Bay region. Four churches, an art gallery, restaurants, a few specialty shops and a local theatre group. Fresh lobsters, crabmeat, and fish can be purchased locally to enjoy right at your own cottage. For more information about the Castine area and the local attractions, services and events, please visit the Town of Castine, Maine's website.